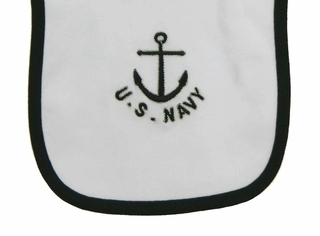 This sweet little white cotton knit bib is made in sailor uniform style. 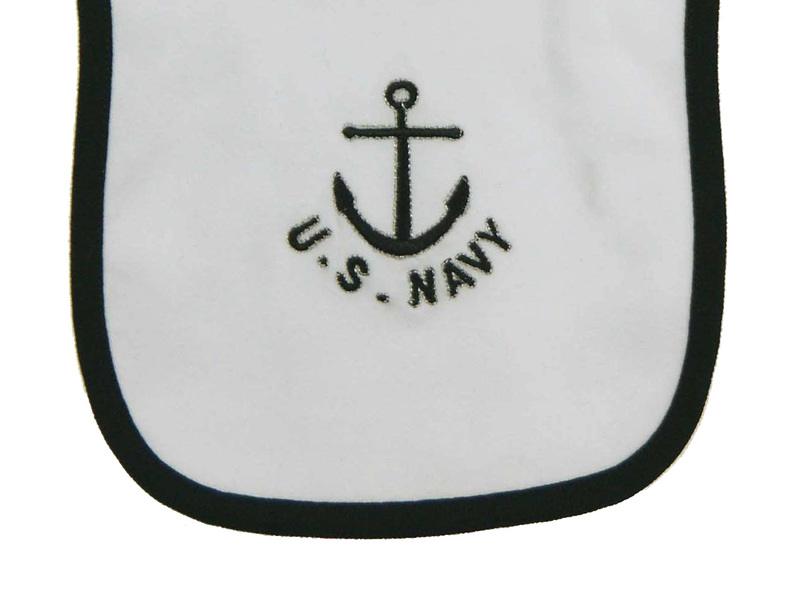 Soft and absorbent, it features black piped edges, with an anchor and the words "US Navy" appliqued in black with silver embroidery. The bib has a velcro closure at the back neck. 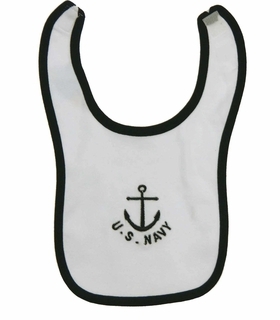 The perfect bib for your sailor baby! Note: This cute little bib is also available in black. See below. Grammie's Attic has the largest collection of baby bibs you'll find, including beautiful Madeira embroidered baby bibs, crocheted baby bibs, heirloom baby bibs, smocked baby bibs, christening bibs, baptism bibs, and vintage Vogart embroidered baby bibs from the 1930s and 1940s. Be sure to see all of our adorable baby bibs.